Plug In: 8 Ways to Get More From Your Help-U-Sell Relationship! 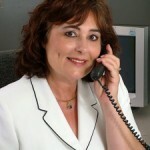 Author helpusellPosted on January 20, 2010 January 20, 2010 Categories Coaching, Help-U-Sell UpdatesTags Help-U-Sell, James Dingman, Plug In1 Comment on Plug In: 8 Ways to Get More From Your Help-U-Sell Relationship! In 2009, Help-U-Sell® coaches crisscrossed the United States and visited with Help-U-Sell members at 27 different rallies where all member teams were updated on the latest developments such as the new corporate website, new office management systems (OMS) for reporting, and the development of new broker websites. Look for additional rallies near you starting in January 2010.